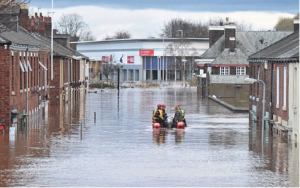 As Christmas rapidly approaches, we reflect back three years on how many homeowners and businesses were counting the cost and trying to come to terms with the devastation and damage from flooding caused by Storm Desmond. Once again people’s furniture and possessions were piled up on pavements as insurance claims were processed and lives turned upside down. One can only imagine the human cost and the stress on families, communities and businesses, both at the time and since. Throughout Storm Desmond, Defra estimated that 19,000 homes were flooded across northern England, with thousands forced to evacuate. In total, more than 6,000 families were left homeless just before Christmas. It will take years to get everybody back to a ‘new normal’ – indeed many people’s lives will never be the same as they were before. The cost of this personal and social devastation cannot be accounted for when counting the value of damaged or destroyed houses. Cumbria and Lancashire experienced the most severe flooding from Storm Desmond. 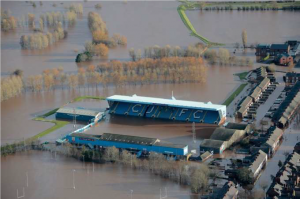 The worst affected areas were Carlisle, Kendal, Cockermouth, Keswick, Appleby-in-Westmoreland, Morecambe and Lancaster. In this area, close to 8,900 properties flooded. 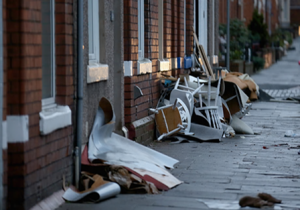 Kendal had an estimated 1,400 people left temporarily homeless. 2,000 businesses were flooded directly and a further 2,000 had indirect (business interruption) losses. Carlisle was especially badly hit when the River Eden flood banks were over-topped. Following the flooding, we worked with JBA Trust and supported Zurich in an analysis of the event considering the nature of the storm, the impacts from flooding and the response. Read the full report on the JBA Trust website. Flood risk communication, including the need for better communication of hazard, risk and what actions to take when providing early warning services to communities. 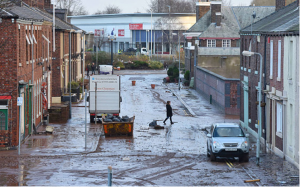 Residual risk when the first line of flood defences, typically the large, constructed schemes protecting entire cities or areas, are either breached or over-topped. There is a need to apply and operationalise integrated flood risk management more effectively, and to share the responsibilities to protect communities and businesses amongst the various actors in order to maximise protection levels, given the limited resources that are available. 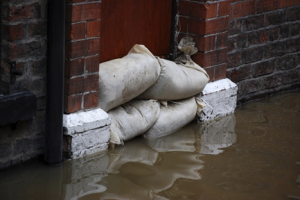 Learn about and utilise better alternatives to sand bags. A range of alternative products are now available and are easier to deploy, more cost-effective and more reliable than sandbags. Communities, organisations and businesses need to be aware of these and their associated benefits and limitations. Property flood resilience (PFR) is an important part of our response to existing and predicted flood risks. 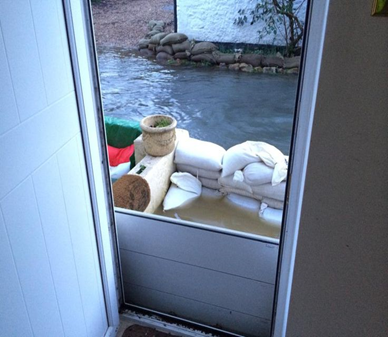 So often it seems sandbags are rushed out as the last line – and sometimes the only line – of defence. Yet sandbags are largely ineffective and lead to costly disposal problems. Property protection measures provide a way to reduce the risks to people and property enabling homeowners and businesses to reduce damage in the event of flooding, speed up recovery and potentially obtain insurance cover more easily and affordably. As part of the response to Storm Desmond, homeowners affected by the flooding were able to claim Government grants of up to £5,000 to make their homes more flood resilient in the future. This provided for the installation of flood doors, barriers and pumps to limit water entry; or funded adaptation measures such as moving electricity sockets to a higher level. The grant guidance highlighted how the selection of the most appropriate measures to limit damage should be informed bya survey, flood risk assessment and advice independent of product manufacturers. Experience has shown this ensures the options selected are appropriate for each property, community, homeowner or business, and the nature of the likely flooding – improving flood resilience and providing peace of mind for the future. We supported over 400 homeowners who were applying for the grant with such independent property flood risk assessments, surveys and reports, working in partnership with local authorities and residents’ groups. Through the Environment Agency’s previous framework, from 2010 to 2017, we also supported more than 127 PFR schemes and completed over 4,180 property surveys across the country. We are delighted to confirm our appointment to the Environment Agency’s Property Flood Resilience (PFR) Framework, providing expert, independent property flood risk surveys for Environment Agency and Local Authority coordinated community schemes. Advising on emergency plans and undertaking flood exercises. 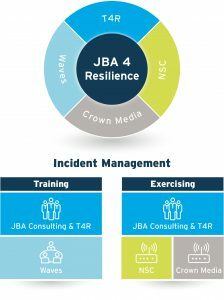 We are also leading the ‘JBA 4 Resilience’ consortium which has just been appointed to the Environment Agency’s Incident Management Training and Exercising Framework. We have been selected for both ‘Lot 1 Training’ and ‘Lot 2 Exercising’ of this four-year framework, to help build the knowledge, skills and capabilities of incident management staff. A programme of exercises will test multiple aspects of response to ensure that staff are trained, confident in their roles and prepared for emergency response and incident management. Objectives will frequently aim to test communication routes between strategic, tactical and operational roles during an incident. They also look to ensure information is passed effectively and in a timely manner to decision makers. 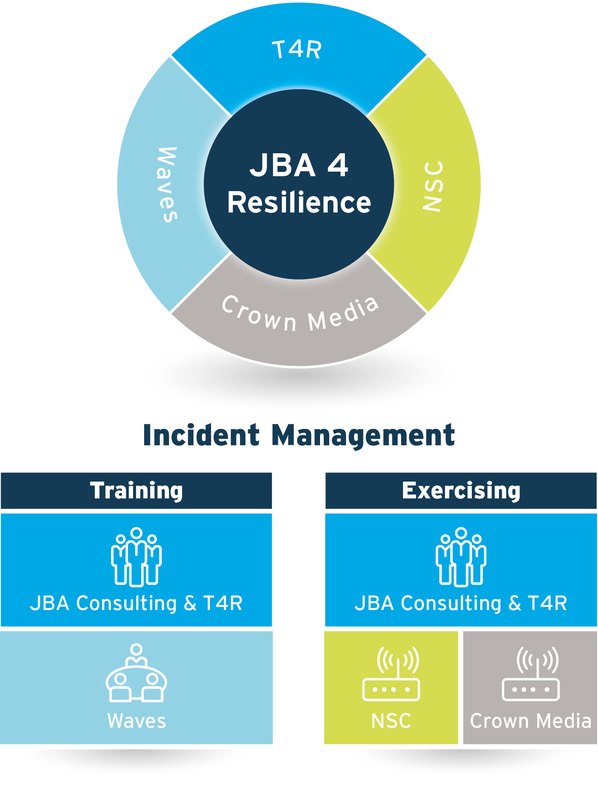 This framework will provide exciting new opportunities for our ‘JBA 4 Resilience’ consortium and we look forward to working with our partners, Training 4 Resilience, Crown Media, NSC and Waves Training Solutions to build preparedness through training and exercising. Email Peter May or call on 01633 413514 for more information on the Property Flood Resilience Framework, the Incident Management Training and Exercising Framework, and the ‘JBA 4 Resilience’ consortium. You can also find out more on our Property Flood Resilience web page. 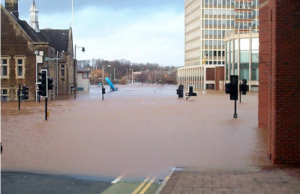 We’ve applied Flood Foresight, our real-time and forecast flood maps, to Storm Desmond data to benefit longer-term flood risk management projects and flood resilience schemes for future response actions.